When the subject of divorce is brought up, one of the first topics that might make you feel stressed is the topic of finances. What will happen to me financially during and after the divorce? This question and the stress that comes with it is completely normal, but don’t worry. If you have the right legal support, you will have the knowledge at hand to alleviate the stress and get you through it. Child Support – A parent’s obligation to support his or her children is nearly absolute, and parents cannot bargain away their duty of child support. Typically, the parent with the majority of custody time, as defined by overnight custody periods, will receive child support from the other parent. However, in rare cases, if there is a large disparity in incomes, the custodial parent might have to pay support to the other parent. The base amount of child support is determined by state support guidelines, which assume that the parent-child relationship gives rise to a support obligation based upon the reasonable needs of the child and the available income of the parents. However, adjustments to the guideline amount may be made where there are unusual or extraordinary expenses, or where other reasonable needs (such as childcare) are appropriate for inclusion. Spousal Support – This type of support involves payments while your divorce is pending. The determination of spousal support is made by first determining the obligor’s income available for support and multiplying that figure by 33% to determine the obligor’s proportionate share of support. The obligee’s income is then multiplied by 40% to determine the obligee’s proportionate share of support. That figure is then deducted from the obligor’s proportionate share calculated above to determine the preliminary support award. Then, adjustments are made for the payment of health insurance and other expenses to arrive at the final support amount The spouse earning more would pay this amount to the other spouse. Of course, many factors go into the determination of what net income a party actually has, and what net income a court will presume a party could be, or should be, earning. Learn more about net incomes for spousal support. Alimony -Alimony involves payments after a divorce is final. If you have earned or earn substantially more money than your spouse and you’ve been married for several years, then you may be required to pay some monthly alimony after you are divorced. Keep in mind, alimony is a secondary remedy and may not be awarded in certain cases, such as short marriages or if you and your spouse earn close to the same amount. Learn more about the Pennsylvania law regarding divorce and alimony. 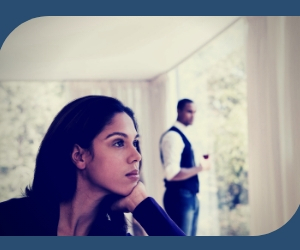 Divorce does not have to lead to financial ruin. In many cases, you can rely on our lawyers’ knowledge and reputation to secure the resolution of your divorce-related issues by agreement with your spouse. To consult with a Pittsburgh divorce attorney about your options in a divorce, contact us online or by calling 412-261-4040.